The following is just ONE of many ways Pro-Stretch Elastic can be used. It can be inserted into a casing. Also..it can be stitched through without losing stretch! ELASTIC IN ACTION... "The Comfy Waistband" is a popular waistline treatment, that becomes even more comfortable when made with Pro-Stretch Elastic. Start with a garment prepared for a cut-on elastic waistline, then cut a length of Pro-Stretch Elastic 1-2" smaller than the body's waist measurement. Stitch the ends of the elastic together, making a circle. 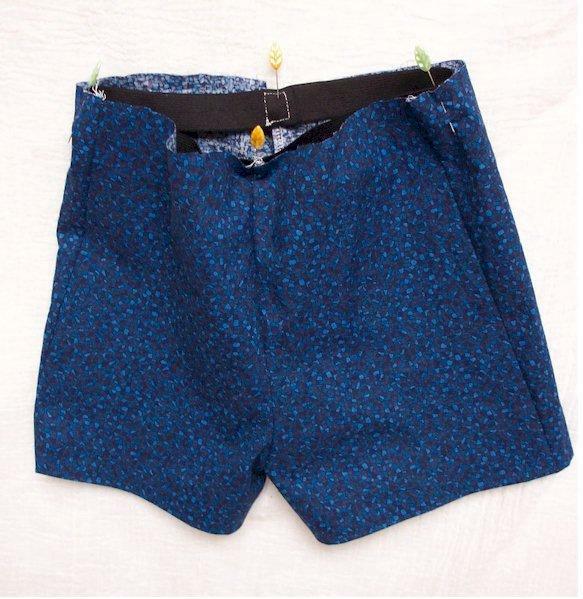 Divide both the elastic and waist-edge into 4th's. 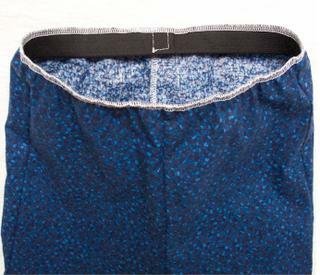 Pin the Pro-Stretch Elastic to the wrong side of waist matching the quarter marks, as shown. 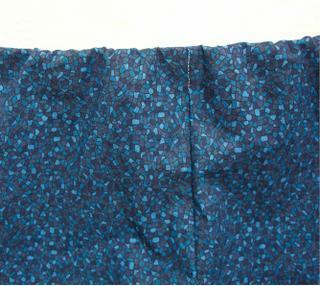 Using a serger or zig-zag, stitch the elastic to the waist edge by stretching the elastic to meet the fabric (contrasting thread is used here for demonstration). Turn the elastic to the inside (wrong side), and stitch along the Center Front, Center Back and Side Seams to complete the waistline (contrasting thread is shown here for demonstration). 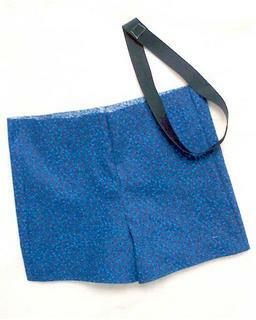 When the garment is worn, the waistline appears to be faced because the elastic is not inserted into a casing. There will be some "ease", but this method gives the waist a much smoother appearance than if the edge was top-stitched. 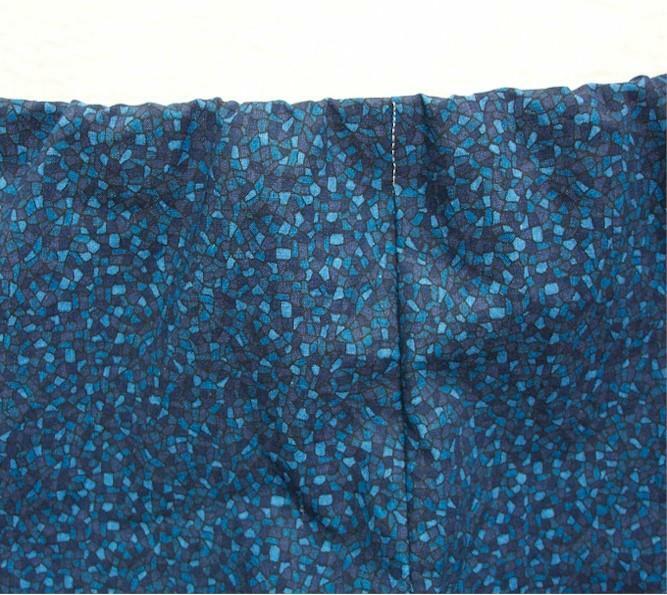 These Jeans were made with Pro-Stretch Elastic using the "Comfy Waistband" application.